Edit a Workbook: Add, delete, and reorder pages - Psycholinguistic Technologies, Inc. 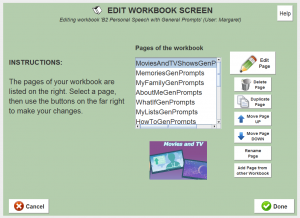 This tool lets you add, reorder, delete, or modify pages in a workbook. 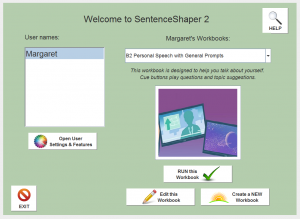 To begin, you go to the program’s home page, where the user’s workbooks are listed. Select the workbook you want to edit, and then click the button labelled “Edit this Workbook”. 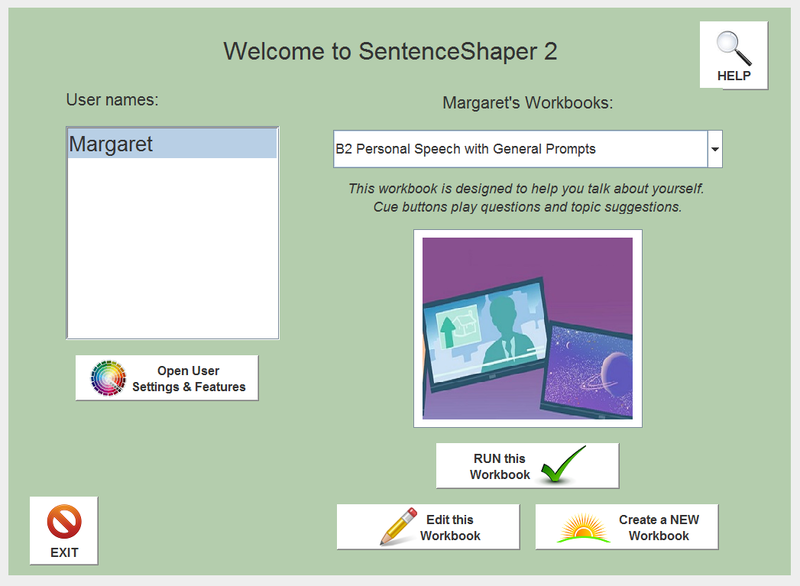 Below is a screenshot of the home page with one of the “personal speech” workbooks selected. Note: To enlarge the screen shot below, click on it. Then use your browser’s back arrow to return to this page. If you want to create a brand new workbook, you would click the button marked “Create New Workbook” instead. 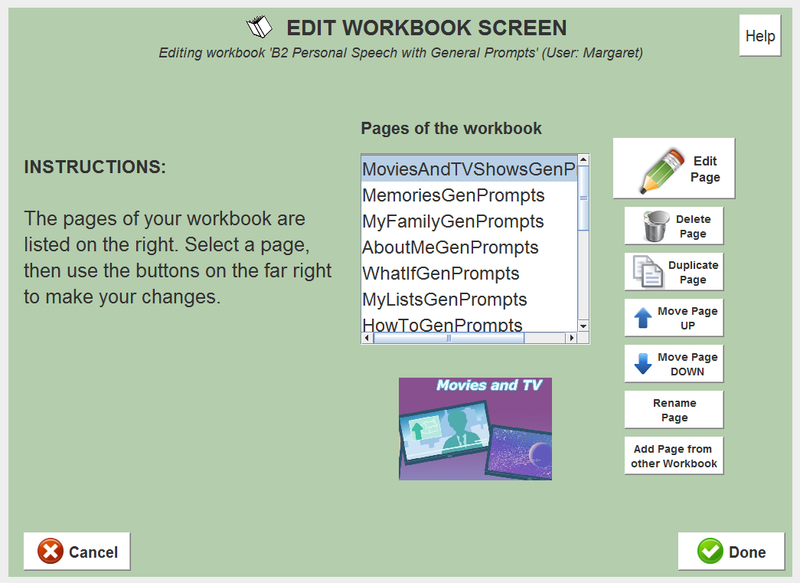 In either case, you will now go to the workbook editing screen. On this screen, all the pages in the workbook are listed. The small picture below that list is a thumbnail of the main picture on the selected page. Note: To enlarge the screen shot below, click on it. Then use your browser’s back arrow to return to this page. To the the right of the page list, there are seven buttons that allow you to do various things: delete the selected page, move it up or down, make a copy of it, edit it, or copy in a page from another workbook. When you are finished, just click “Save” and you will return to the home screen.